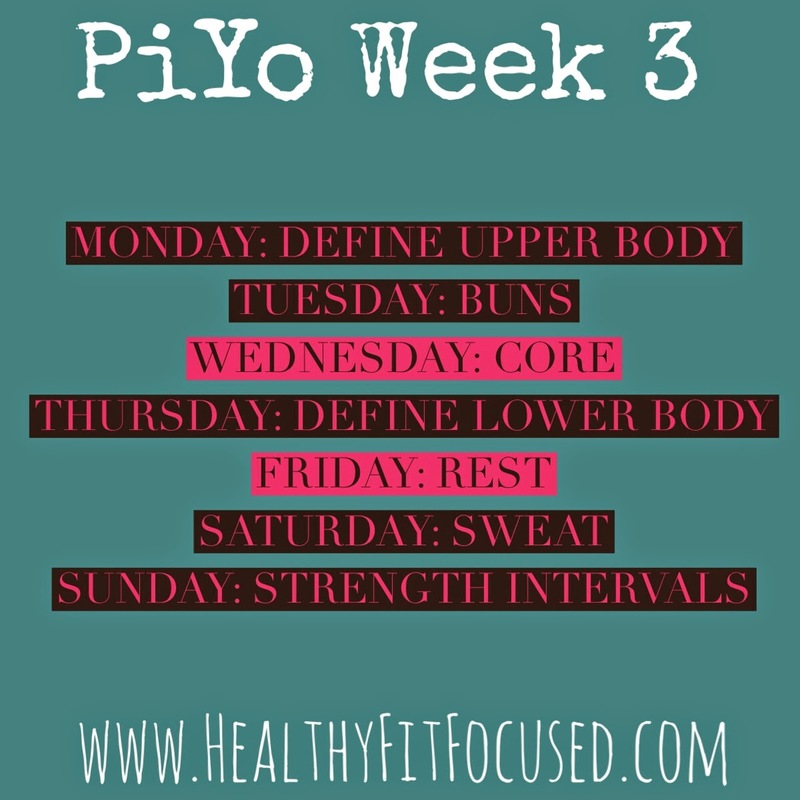 PiYo Week 3 is in the bag! And...it's official. I LOVE PIYO!! 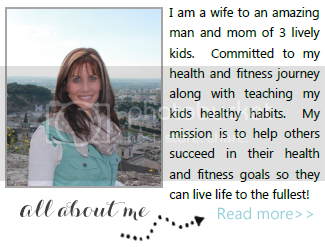 This week I think was a turning point for me in my PiYo journey. I not only have gotten stronger this week with the moves but I've grown more addicted to the way PiYo makes me feel and the way it's shaping my muscles. My wrists have gotten stronger and more flexible, which if you have done any bit of PiYo you know that you are up in plank or some sort of plank a lot during PiYo. Chalene always says that if your wrists hurt then they will get more flexible and strengthen during the program...it's true!! In week 3 there are 2 new workouts that are introduced...and I really liked both of them! Buns: Holy cow...I was so sore after this workout, it was tough but I KNOW it was working my legs and buns and it felt so good being sore like that! So, Buns is definitely one of my favorite workouts! Strength Intervals is the other new one this week...I really liked this one too. This is more cardio than any of the workouts and you have your shoes on! I was SO sweaty after this workout and another great one! Here's what week 3 schedule looks like! So I told you that I would keep you updated on my Sunday workouts...This past Sunday I was actually looking forward to working out, which usually I want my Sunday to be a rest day, but, that's why I said I turned a corner this week. On Friday, my rest day, I REALLY needed a rest day. So Sunday came around and it was a great workout!! So, this is proof that if you stick to the program, it will change you! This is what I'm eating this week!! Now, things may change as we are getting ready for a move and trying to use up what we have in the fridge. Are you interested in checking out PiYo and experiencing it for yourself? It's a great fitness program and has become one of my favorites for sure. Are you looking for support? Would you like to lose weight, get healthy, become fit, get off your medications? 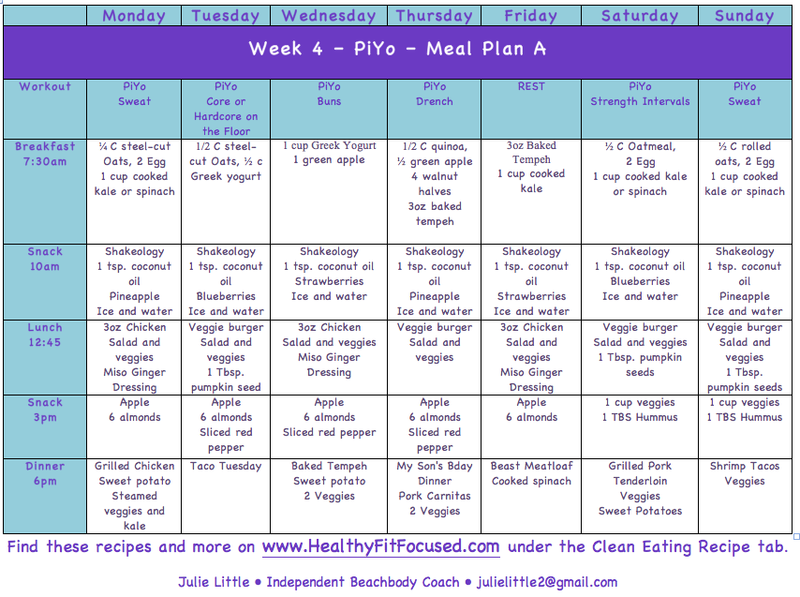 Do you need the accountability and tips on how to plan your meals and what to eat in order to lose weight and be healthy? I would love to be your coach and help you get the results you are looking for, to lose weight, get healthy or in shape...whatever your desires are, I will do all I can to help you get there! I would love to get you plugged into my next challenge group that will give you the support and accountability you're looking for. If you are interested, fill out the application below and I will get back to you with further details. Also, don't miss out on PiYo Challenge Pack Sale!! Right now, until July 31st, you can get PiYo on sale along with Shakeology for a huge discounted rate, check it out HERE!